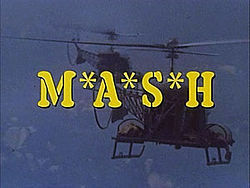 Who was your favourite character on M.A.S.H? There are shows that will go down in history as classics, and pinnacles of television viewing - I believe M.A.S.H is one of those shows - it was the right show at the right time with the perfect cast and brilliant writers. Each character was written and acted with heart and soul, and I loved them all. Who was your favourite M.A.S.H character and why? They were all brilliant in their own right but Hawkeye was my favourite to watch. I could never get into the MASH Series. Hawk eye was by far the best!! Such a great character he really made that show. Hehe now the theme song is in my head. Hawkeye. He was always so positive and cheeky, even under pressure. He really brought the show to life. Yup, I also have to go with Hawkeye. My favourite was Radar... quirky but cute. None. Sorry, I always hated the M.A.S.H. series. It grated on my nerves. I don't even like walking into our lounge room, & seeing my other 1/2 watching a repeat episode!